Walking up the arroyos and climbing the hills and mountains is an unforgettable experience for many charter enthusiasts. Make sure you bring comfortable shoes suitable for the rocky terrain and enough water to quench the thirst brought on by the extreme desert climate. with the boat you left waiting. mountain on the south end of Isla San Francisco. 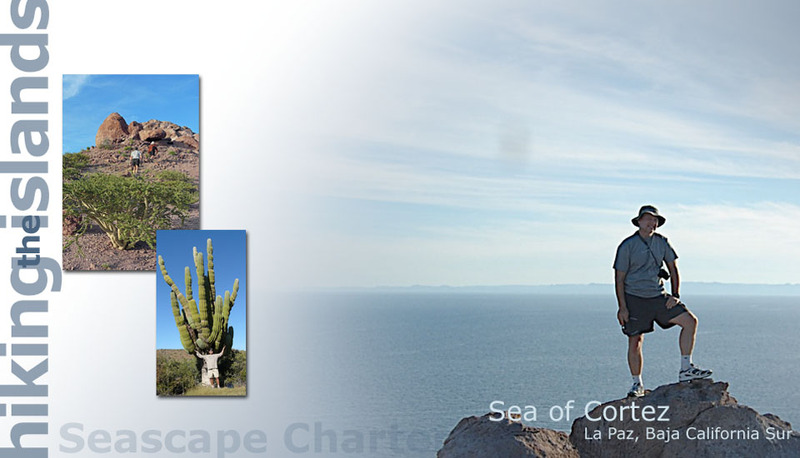 on Isla Partida and Isla Espiritu Santo.